To ensure that a bandsaw cuts accurately and efficiently, it should be set up correctly. With this in mind, ADS Precision, which offers sawing machines from principals such as Hydmech, MEP and Meba, has identified key areas that should be checked, as well as procedures to ensure that the saw is operating at its best. One of the first things to check is the machine’s swarf brush. A swarf brush in poor condition can lead to bandsaw blade tooth breakage, premature tooth wear and rough cutting, reports ADS Precision, which recommends replacement as soon as deterioration is noticed. Another area that requires attention is blade tension, which can be measured with a dedicated meter. The correct tension for both carbide and bi-metal blades should be between 250 and 330 N/mm2, says the company, depending on the size of the blade and machine type. 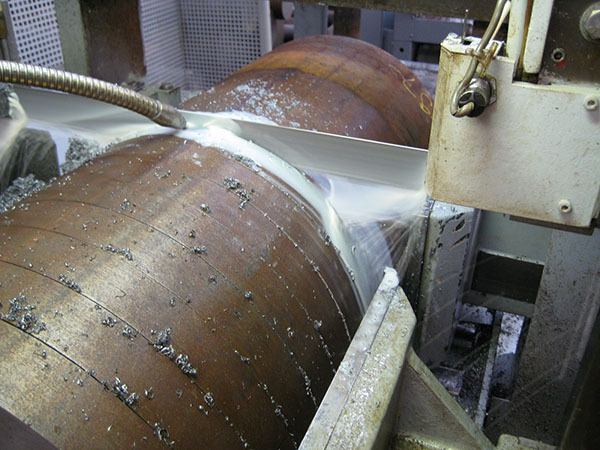 Incorrect tension can lead to blade breakage, crooked cutting, and vibration and slippage between the band and the wheel. Similar issues can occur if running at incorrect blade speed for the material, while in addition, coolant flow and concentration must be checked. A further culprit when experiencing issues such as band breakage, crooked cuts or blade vibration, can be the blade guides. Blade guides should be disassembled to check for cracks and/or chips. The carbide guide surface should be higher than the surface of the steel holder. As a point of note, look for excessive wear on the corners of the carbides. With regard to wheel bearings, check for flat spots on the surface of the wheels, and rock the wheel from side-to-side to assess bearing play. Any issues here can result in blade slip or even breakage.